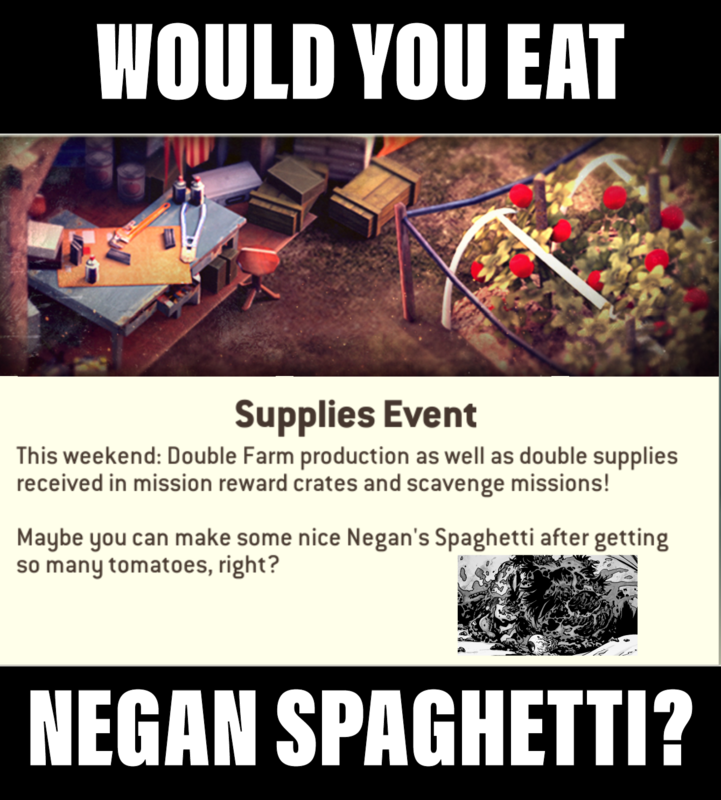 Would you eat Negan Spaghetti? I myself would be worried what the main ingredients were. I would as long as you got some Negan lemonade to go with it. Only if I could eat it on an outdoor pool table. @Nick37 would that be because you could or because you had to? 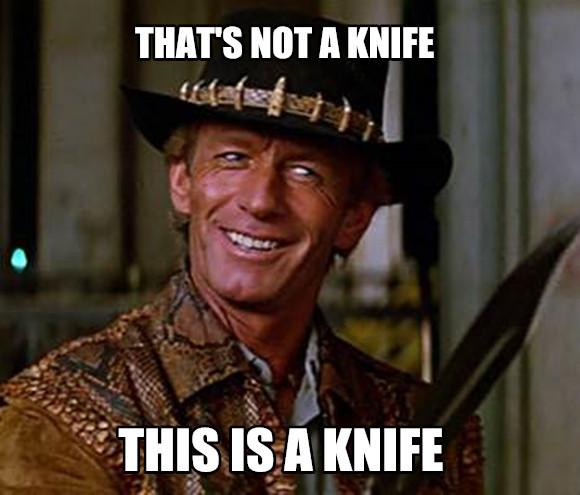 That was a, how do you say... ah, “That’s not a knife, This is a knife” moment.